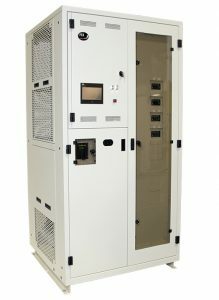 With the increased complexity of IT environments and the growing push for more efficient data centers, Power Solutions offers a variety of power distribution products to provide reliable, manageable, and efficient power distribution from where power enters the data center, to the rack, and then distributed through the rack to each individual piece of equipment. 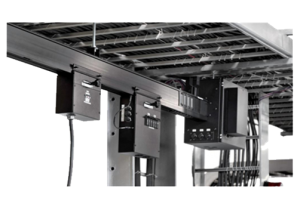 Our 3-Phase PDU, Busway and rack ATS and PDU lines are designed for increased flexibility, manageability and efficiency in the data center. E+I Engineering is a leading provider of electrical switchgear and power distribution systems, offering unique in-house integrated power solutions tailored specifically to their client’s requirements. 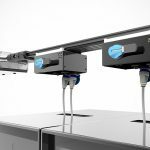 The E+I Powerbar Busway offers a totally integrated solution for larger power distribution. Eaton ePDUs offer the largest selection of rackmount power distribution units available on the market. This complete suite of power distribution products is designed specifically for data centers and IT environments and provides manageability, control and power comsumption monitoring at the outlet level. GE’s Critical Power delivers fully configured power systems with the industry’s highest efficiency. We help customers maintain the highest availability, improve operational efficiency and expense, while preserving system reliability and lowering their risk with performance guarantees. GE Busway Products provide overhead power distribution to the critical load servers.